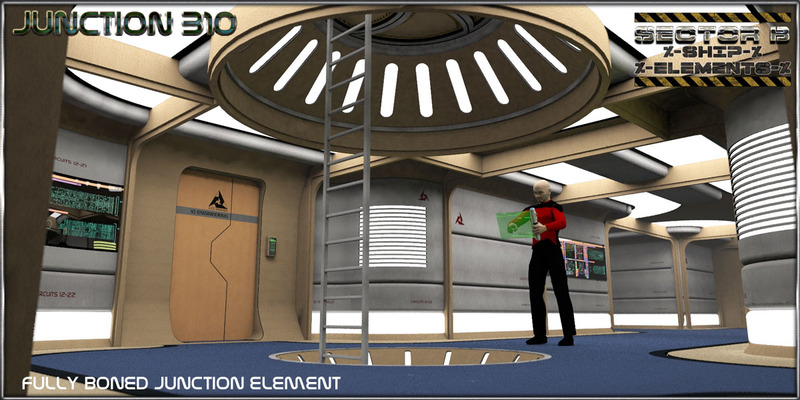 Herewith you get the C5 Element of the Ship Element C-Sector Series. 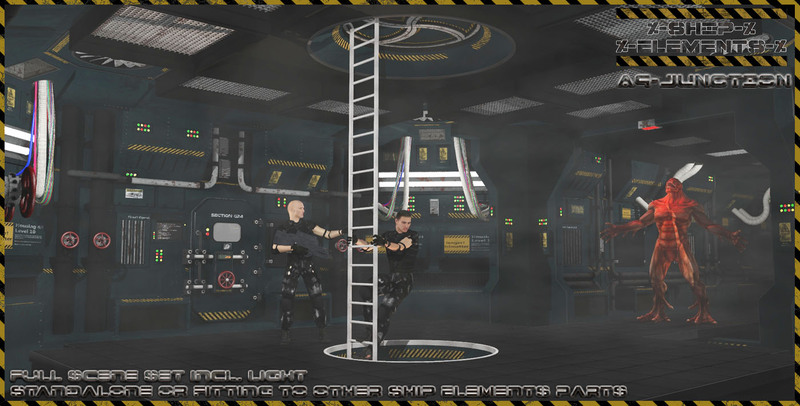 to get a propper Alien commando down to earth. parts of the room through the visibility tag. 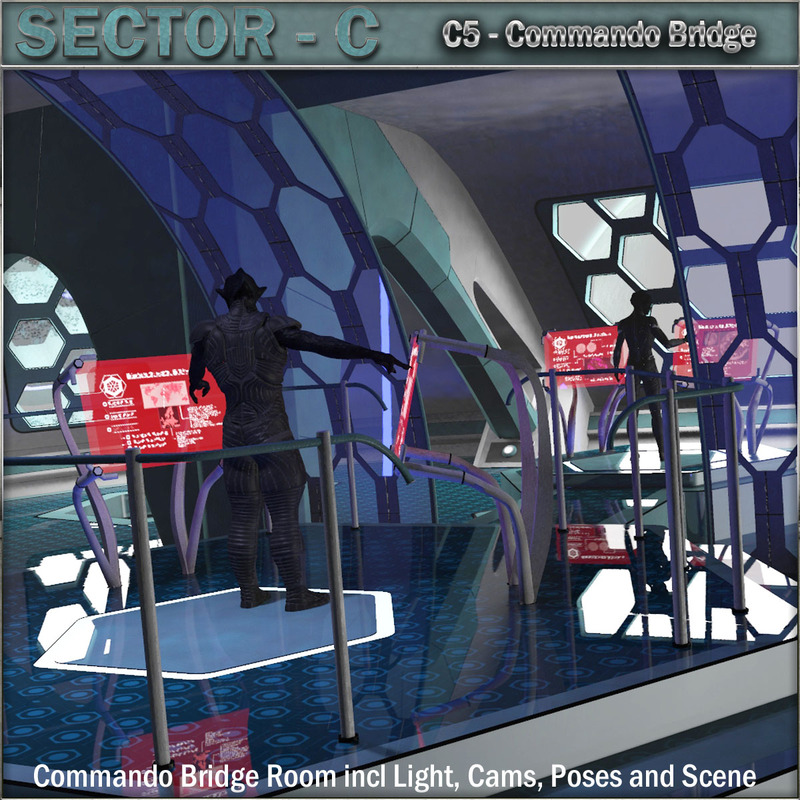 Lights, poses, cams and a prebuild scene included. 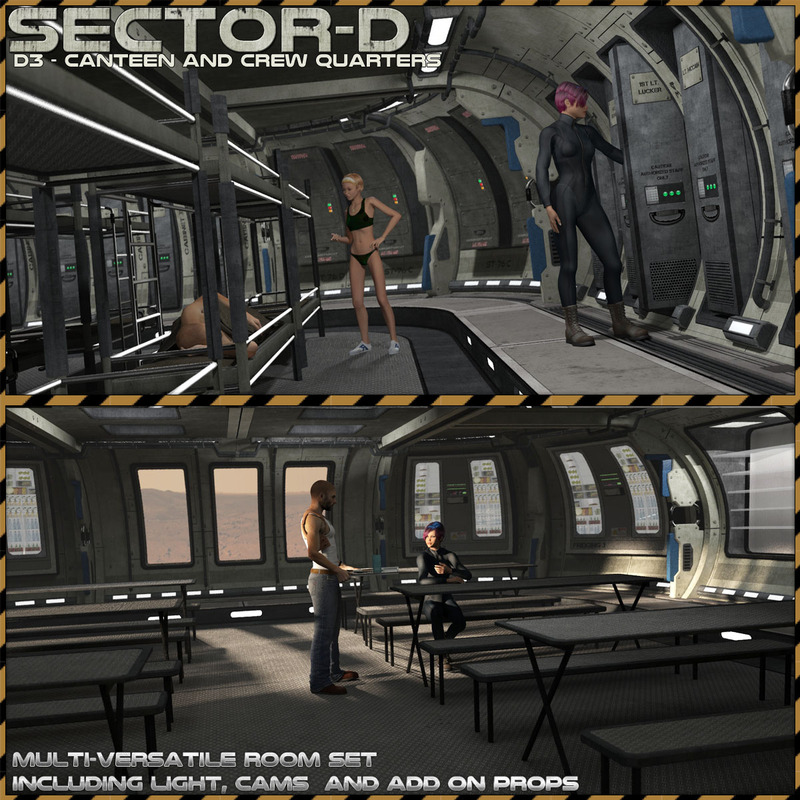 Also check the other Ship Elements Sections and our great bundling offers! 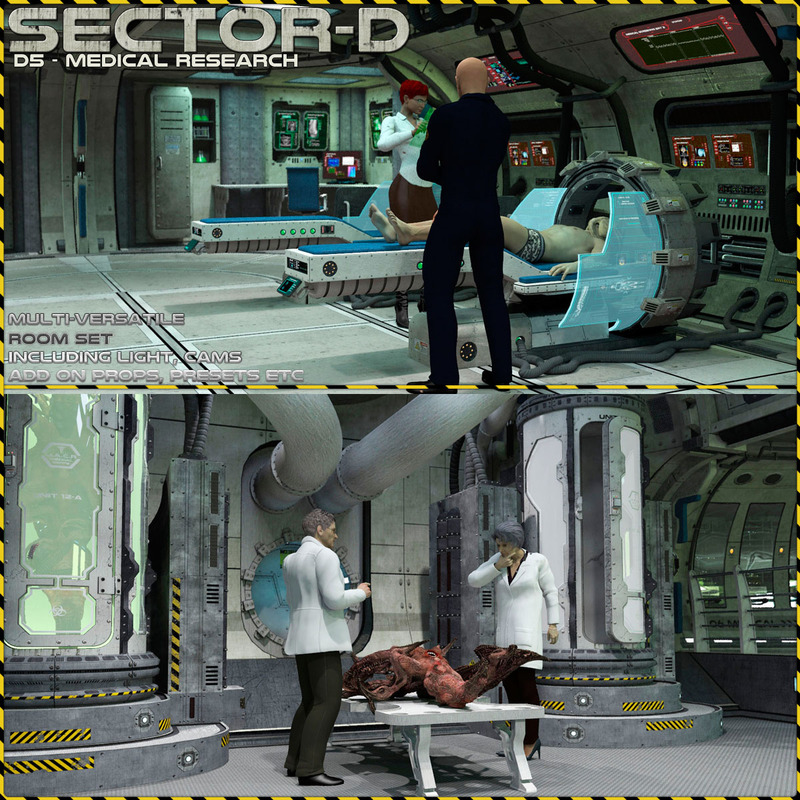 This is D-Sector D4 : The Reactor Room. 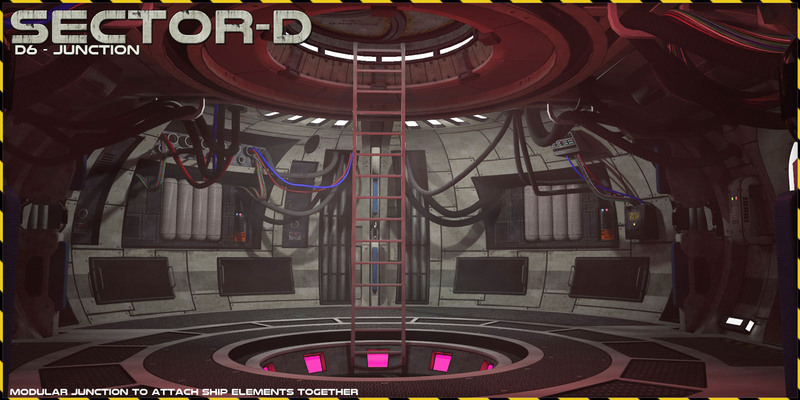 Well, any ship or outpost needs some kind of energy creation, right? So here you get yours. 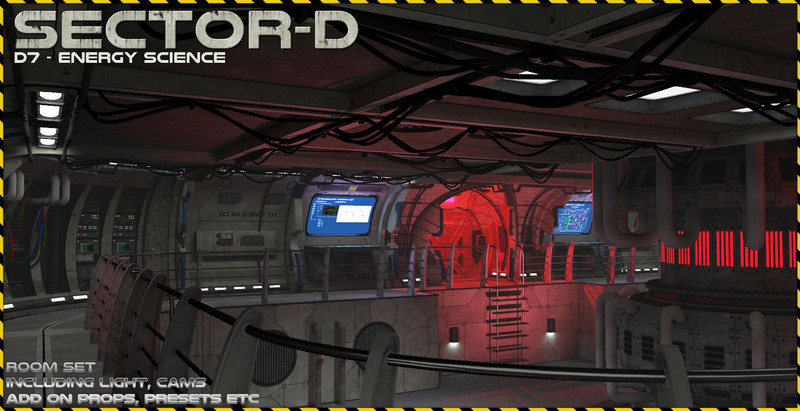 Assemble to your D-Sector sets and have them powered up. 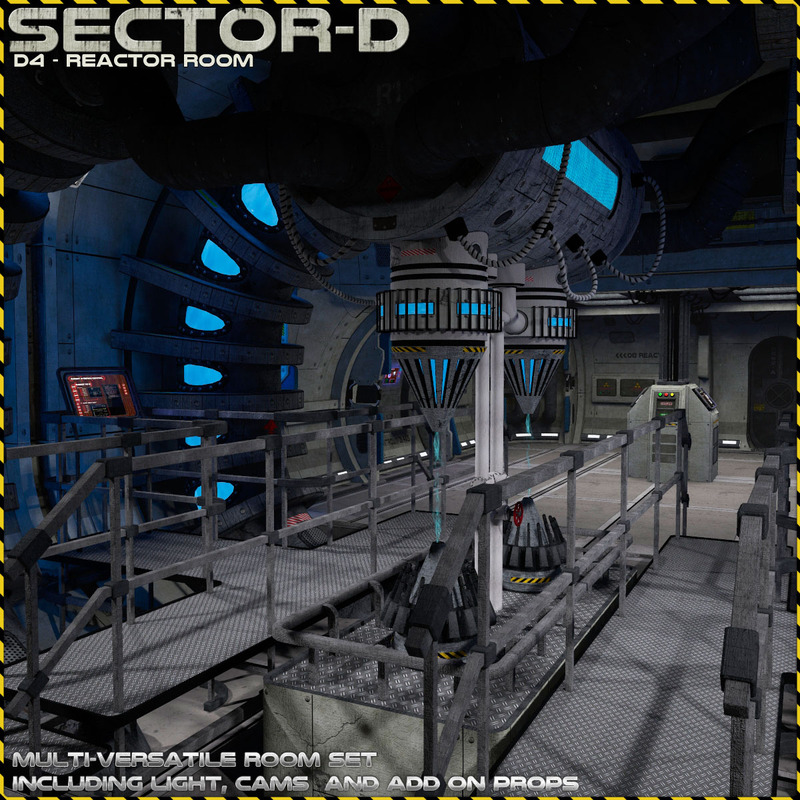 The set comes with a large reactor core room plus the according reactor cells. and a full preset scene. Ready to Render! Thanks for using our sets and check out our great package deals!! elements, D3 can be attached to the straight or T-Set of the D1 Corridor package. Each room as a smaller exit door to the above parts. as any other sort of room you desire. 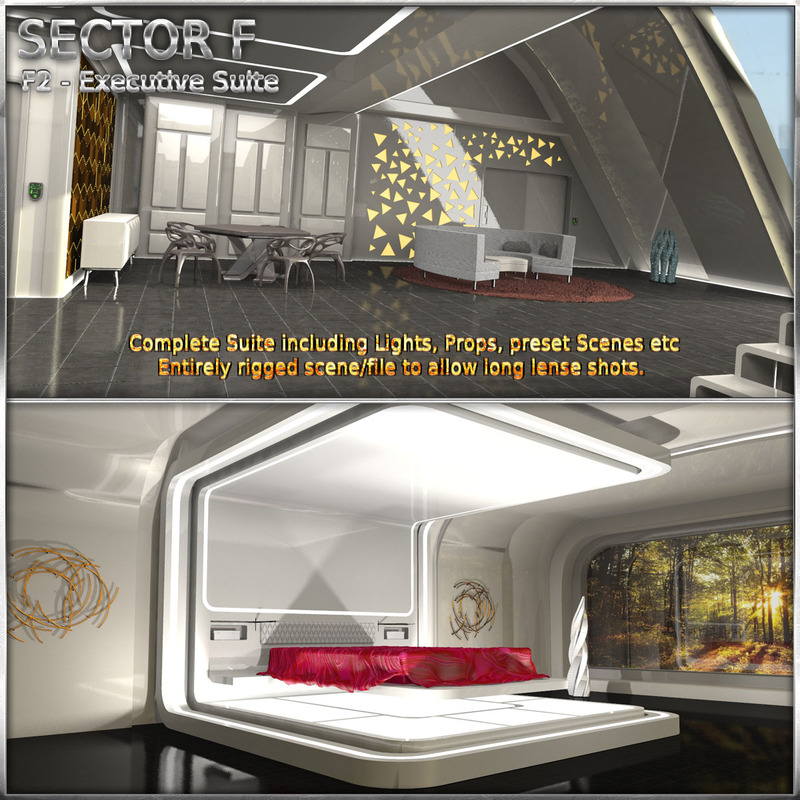 Beds, table sets etc are isolated items. disable any wall for long focal lense shots. 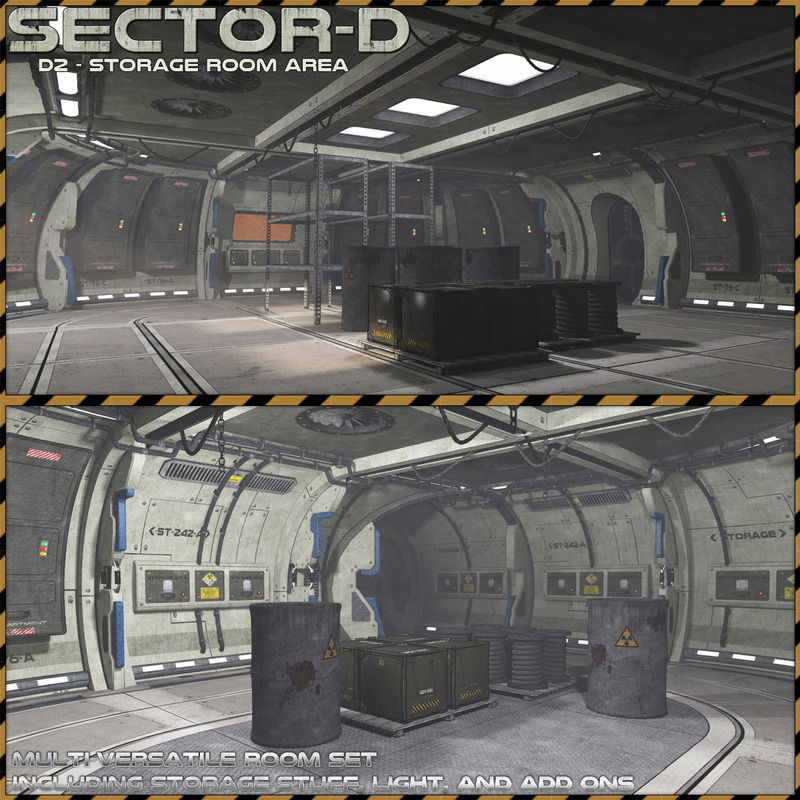 Check out our large freebie area with loads of add on stuff!! Rem: this set is designed for Poser, items load in D/S (Some material shaders look different), check out read me for further information. elements, D2 can be attached to the straight or T-Set of the D1 Corridor package. to attach to a larger door. You can use this as an Airlock for example. as any other sort of room you desire.